Reliable batteries for long – term discharge applicable for motorboats, trailers / holiday caravans, lightening and navigation systems, wheelchairs and truck elevators. SKU: 956 07	, EAN: 5,90367E+12	, Delivery time: 1-2 tööpäeva laoolemasolul. Tellimisel 5-10 tööpäeva. Starter batteries for passenger cars, vans (also for diesel cars) with increased technical parameters. Starter batteries for passenger cars, vans and other Japanese and Korean makes. 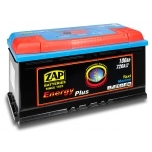 Starter batteries recommended for the most technologically advanced passenger vehicles of medium and top class. 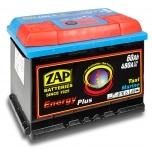 New line of starter batteries which applies the most modern technological developments allowing a significant increase of starter parameters without increasing the size of the battery. Silver Premium batteries are aimed at users who value reliability and high cold cranking. 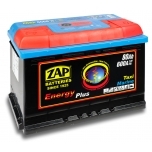 Starter batteries designed for trucks with additional equipment as TV, CB radio, refrigerator, oven etc.